American English Learner MOOCS: These Massive Open Online Courses (AE MOOCs) help pre-intermediate, intermediate, and advanced level learners improve their English skills in five major career fields: English for Media Literacy, English for STEM Fields, English for Business and Entrepreneurship, English for Journalism, and English for Career Development. Each AE MOOC is self-paced and is five weeks long. English Club Guide: Start and facilitate your own English club with this easy-to-use guide! This handbook has topics and activities for Club meetings as well as advice for how to get your club started. American English E-Books: Read e-books anytime, anywhere: on the go or in the classroom! Free, American English E-books – including classic graded readers and an idiom reference guide –are available. Titles are adapted from American classics by Mark Twain, Jack London, and Edgar Allan Poe and intended for intermediate learners of English, including both .pdf and audio files. American Teens Talk: Interviews with American teenagers give learners a view into the lives of adolescents in the U.S. Through the written and audio format of the interviews, learners can increase their vocabulary, practice their reading and listening skills, engage in discussions, and learn more about U.S. culture. Web Resources for Language Learning: Find innumerous high-quality online tools for your independent study of English in this guide of web resources. Sing Out Loud: Children’s Songs, Sing Out Loud: Traditional Songs, and Sing Out Loud: American Rhythms: These high-quality collections of songs are meant for learning English. Download the songs, listen along, and amplify your vocabulary and language skills. American English Facebook Live Webinar Series: The American English Webinar and Facebook Live sessions are hosted by the U.S. Department of State’s Office of English Language Programs. These series of six, hour-long professional development seminars are for teachers of English or future teachers of English around the world. Participants who attend at least four webinars receive e-certificates. Teachers are also encouraged to join the associated Ning to participate in discussions, view or download video and other materials from the sessions, and access recordings of the webinars. Previously Recorded American English Webinars: Search and watch recorded videos on methodological topics that foster interactive, student-centered language instruction. Each webinar includes corresponding downloadable presentations and additional resources. American English E-Teacher MOOCs: These free 5-week online courses are designed for non-native English language teachers and open to an unlimited number of participants. The program is ongoing and offers various courses that are facilitated and self-directed. American English E-Teacher Program Scholarships: The Program offers foreign English teaching professionals the opportunity to take innovative, online university-level classes. Administered by well-known U.S. universities and educational institutions, E-Teacher courses introduce and explore methodology, connect participants to U.S. English langauge teaching experts, and create a professional network of international colleagues participating in the course worldwide. Courses are eight weeks long and offered four times a year. The RELO office accepts applications on a rolling basis. Interested teachers should email us to apply. English Teaching Forum: Since 1962, English Teaching Forum has been a useful, friendly magazine for English Teachers. Currently, more than 80,000 print editions of English Teaching Forum are distributed to subscribers in more than 125 countries around the world. English Teaching Forum’s mission is to contribute to the professional development of its readers around the world by offering articles that reflect current theory and practice in English language teaching. English Teaching Forum is available online with an archive of searchable articles. Most articles published in English Teaching Forum are submitted by its readers, and the journal solicits submissions from teachers on a wide variety of topics in second/foreign language education. The American English Website: American English is a resource center for teaching and learning about American English language and culture. This website provides a variety of engaging materials and resources for teachers’ professional development and for students in the classroom. Both teachers and students will find new ways to practice English and learn more about the United States. The RELO office sponsors programs throughout Brazil with the aim of providing long-term professional development for public school English teachers. Brazilians Innovating on the Teaching of English (BRITE) is a semester-long online and face-to-face program developed by binational centers with the financial and academic support of the RELO office that takes place in various locations throughout Brazil. In addition, the RELO office sponsors English language learning opportunities for teachers through the English Access Microscholarship Program for Teachers in Brazil. The English Language Specialist Program: The Specialist Program recruits U.S. academics in the fields of Teaching English to Speakers of Other Languages (TESOL) and Applied Linguistics for short-term projects that focus on teacher training, materials development, curriculum design, or assessment. Projects occur throughout the year and can include face-to-face and virtual components. Email the RELO office to submit a proposal. The English Language Fellow Program: The Fellow Program places talented, highly qualified U.S. educators with Master’s degrees in TESOL or Applied Linguistics at universities, Secretariats of Education, and other centers of education throughout Brazil. Fellows share their expertise, gain international and professional experience, and learn about the cultures of Brazil. The RELO office solicits proposals for Fellows annually. The English Access Microscholarship Program: This learner-centered program provides a foundation of English language skills to participants from economically disadvantaged sectors through after-school classes and intensive sessions. Access gives participants English skills that may lead to better jobs and educational prospects, and participants also gain the ability to participate in future exchanges and study in the United States. Originally conceived for teenagers from non-elite communities, the Access Program has provided scholarships to over 180,000 students in 86 countries since its inception in 2004. The U.S. embassy and consulates in Brazil have hosted Access Programs since 2008, and more than 2,500 students have participated in the program. Currently, there are 12 Access program sites with local partners throughout Brazil. Proposals for hosting Access Programs are solicited annually from the RELO office. Professional Development Seminars and Workshops: The RELO office provides workshops and professional development sessions throughout Brazil in partnership with Secretariats of Education, Teachers Associations, bi-national centers, and both public and private schools. To find out more about upcoming workshops and events or to request a speaker at an event you are hosting, contact the RELO office. Fulbright Foreign Language Teaching Assistant and English Teaching Assistant programs: The U.S. Embassy in Brazil works together with U.S. Department of State programs from the Fulbright Commission, two of which directly contribute to English language teaching and learning: the Fulbright Foreign Language Teaching Assistant (FLTA) and English Teaching Assistant (ETA) programs. FLTAs are young Brazilian teachers of English who receive the opportunity to strengthen Portuguese language instruction in U.S. institutions while enrolling in university TESOL courses of study. ETAs are American recent university graduates who participate as English language teaching assistants and U.S. cultural and linguistic ambassadors at Brazilian universities. 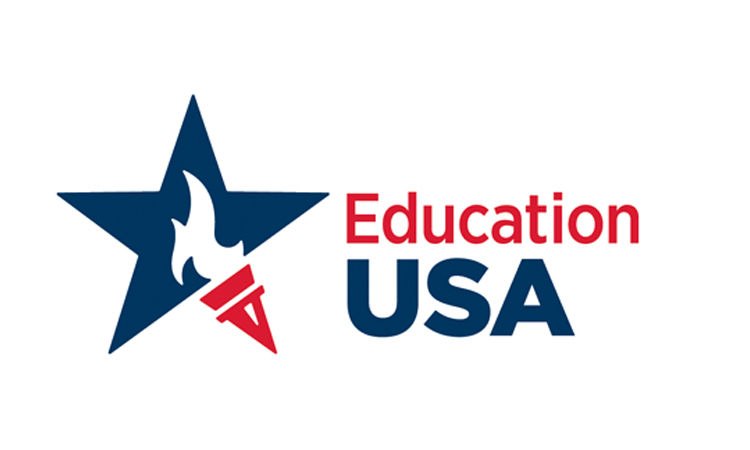 is an online resource center for teaching and learning English and about U.S. culture. It provides a variety of engaging materials and resources for students of English, teachers’ professional development, and resources to use in the classroom.